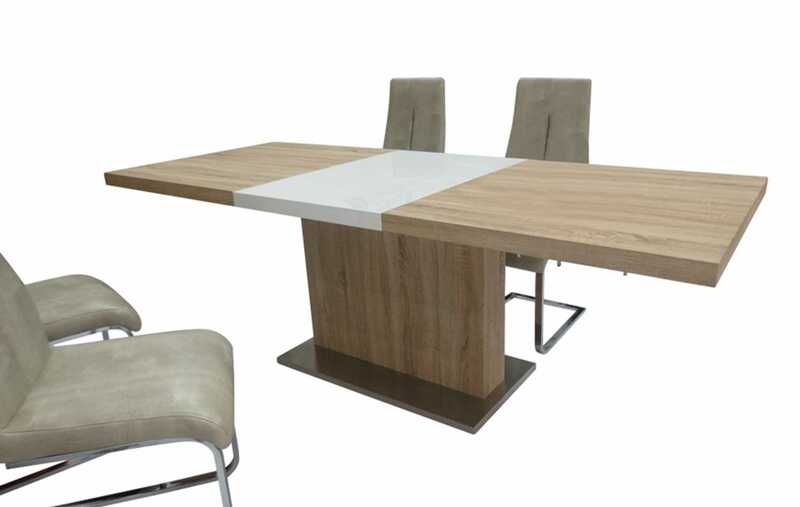 Description Dining table with clear glass top. 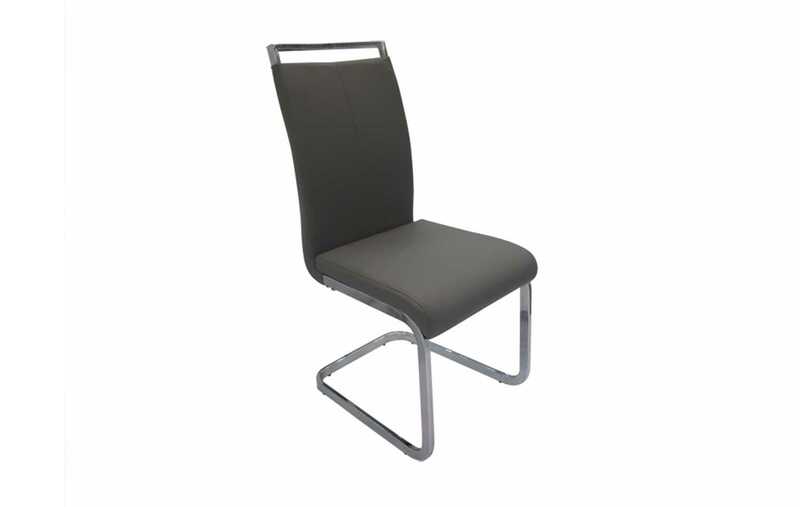 Dining Chair – Novia #B21. 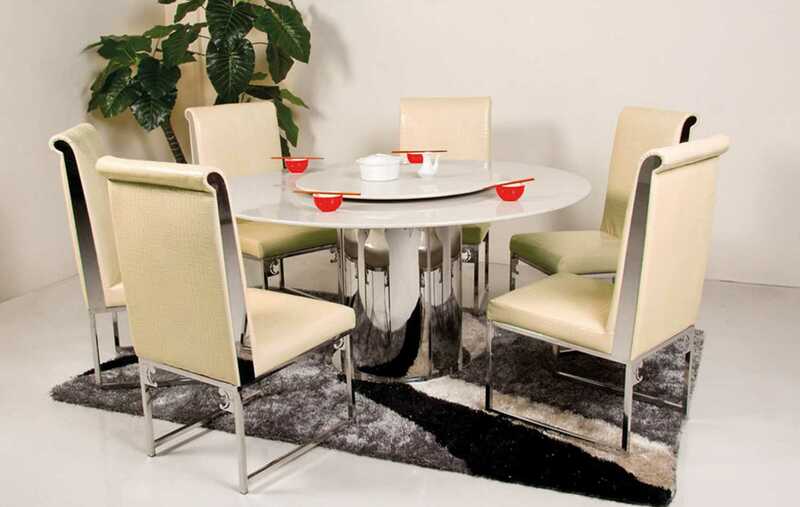 Description PU leather dining chair. Available in: White, Grey. 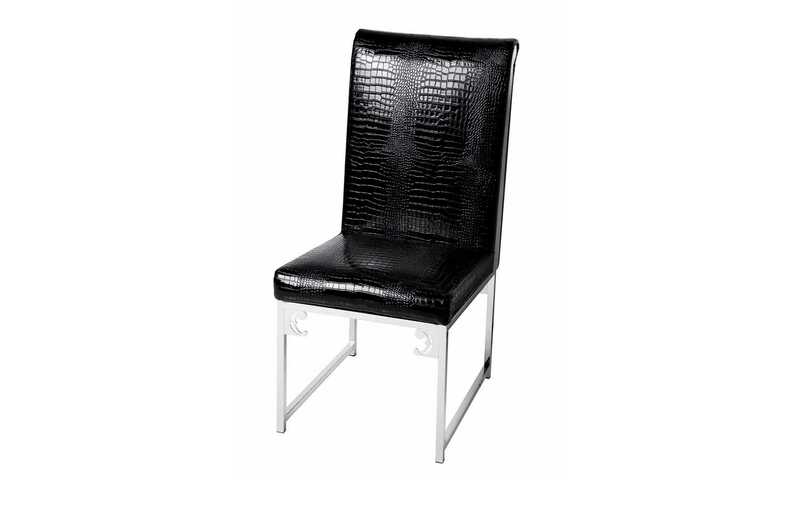 Description PU leather dining chair. 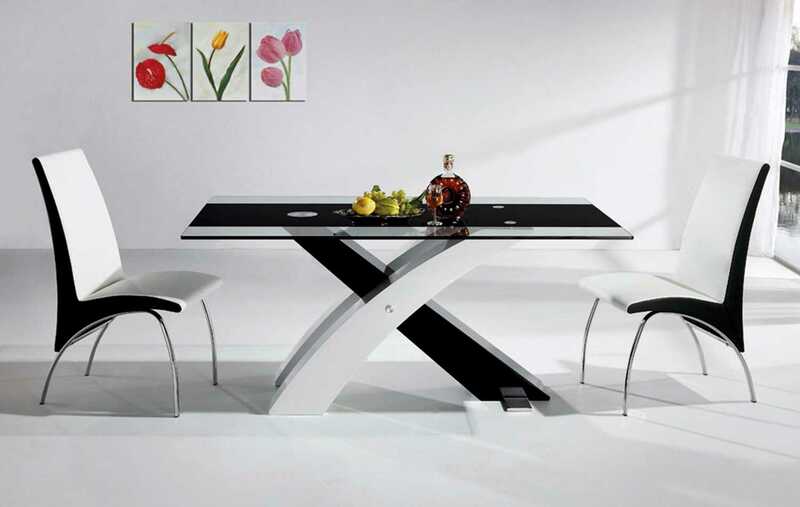 Available in: White. 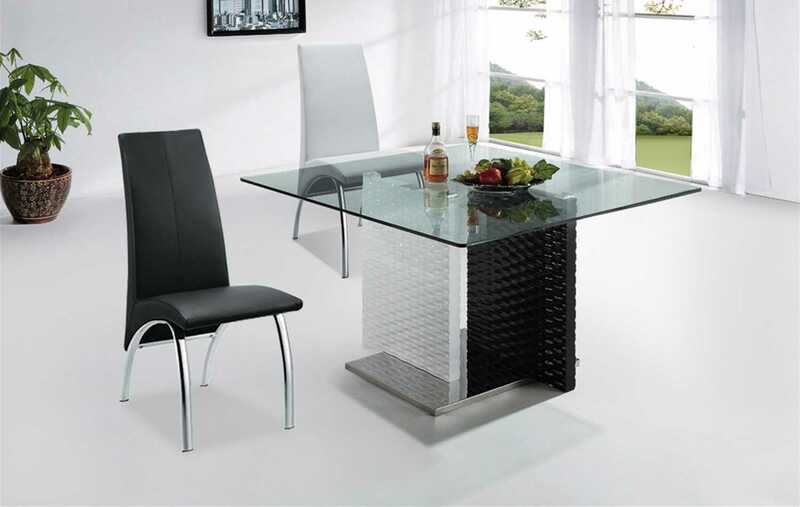 Description Stainless steel dining chair. Available in: Black, Cream. 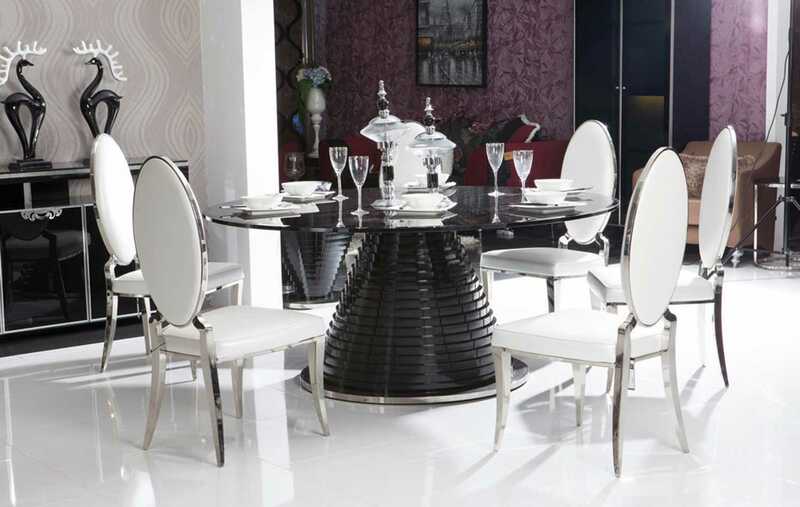 Description 7 Piece dining room set. 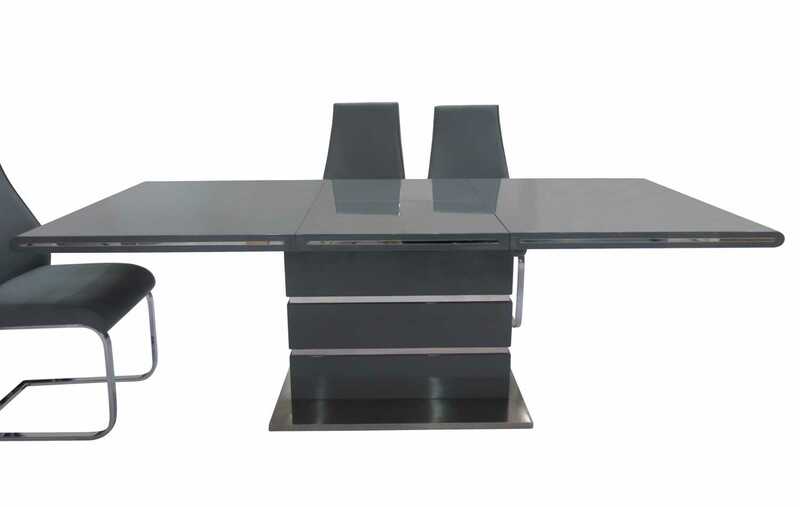 Description Steel dining table with solid marble top and removable marble lazy Susan. Available in: Black or Cream. 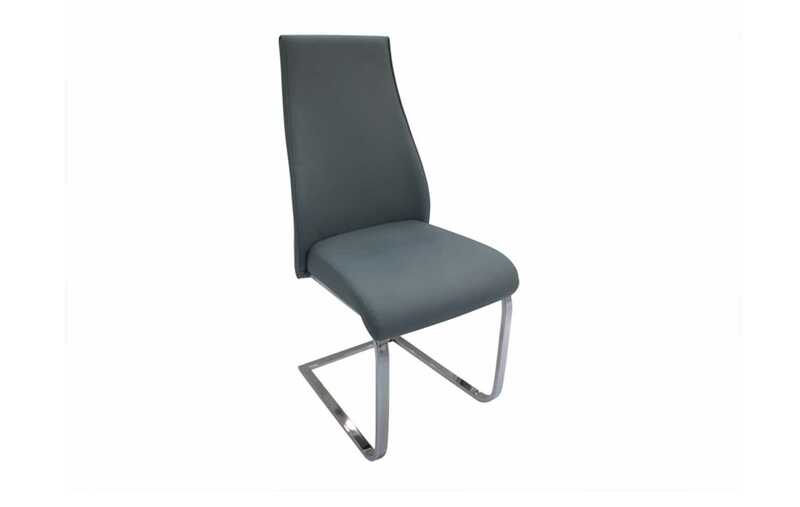 Dining Chair – Miami #B20.